The Champagne & Aishihik First Nations (CAFN) administrative headquarters are located in Haines Junction. It also maintains a busy office in the territorial capital of Whitehorse at Suite 100, 304 Jarvis Street. 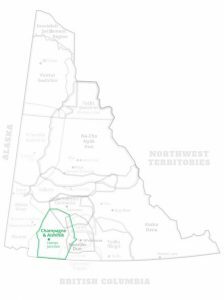 The homeland of the Champagne & Aishihik First Nations is located in the Southwest Yukon and Northwestern British Columbia. Champagne & Aishihik was named after two of its historic settlements: Champagne located on the Dezadeash River and Aishihik, situated at the north-end of Aishihik Lake. 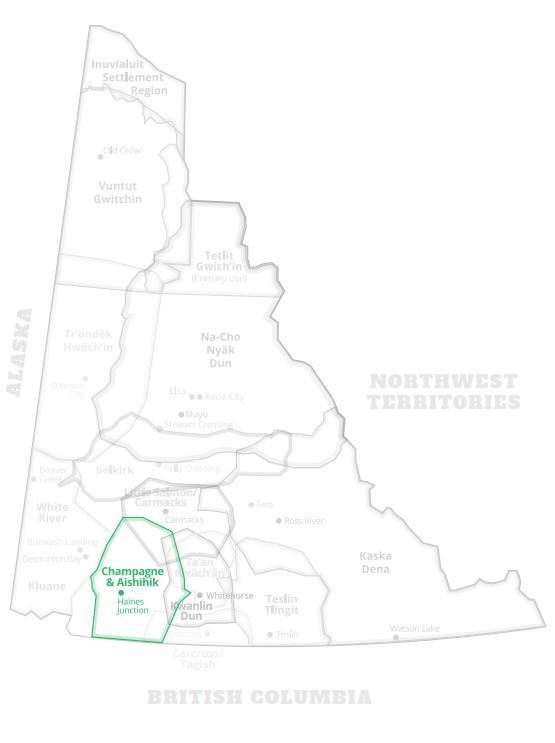 CAFN’s native language is Southern Tutchone, a member of the Athabascan language family, which includes the Navajo, the Denes of NWT, and most Yukon First Nations. CAFN has also maintained strong trading relationships with its neighbours to the South, the Tlingits of the Pacific Coast. In former days most people from Champagne were bilingual, speaking both Southern Tutchone and Tlingit. CAFN is one of the largest of the Yukon’s fourteen First Nations with a membership of about 1,200. In 1993, after more than 20 years of negotiations, CAFN’s rights to the Yukon portion of its traditional lands and resources were finally confirmed with the signing of the First Nation’s Final Agreement between CAFN, the Government of Canada, and the Government of Yukon. CAFN’s land claims agreement provides for the ownership of some 2,427 square kilometers (or 925 square miles) of land and approximately $28 million dollars to be paid over a 15 year period. An area of particular interest to the scientific world has been the recent archaeology findings in the melting ice patches and ice fields within the Champagne & Aishihik traditional territory, where some of the oldest evidence of human habitation in the territory have been found. 150 artifacts ranging from 800 to 9,000 years of age have been found. The ancient weapons, tools and equipment used by the hunters still litter the sites, perfectly preserved by the ice. In 2000, the 550 year old body of a hunter/traveler was discovered in a similar area in northwestern British Columbia. These finds are not only important to the scientists but more so to the members of CAFN who can make a connection with their ancestors who lived thousands of years ago.